One of the best ways to get the inside story on a city’s music scene is talk to someone from that scene. That’s why I went to Evan Mitchell, who picked up the baton for the Kingston Symphony as its music director just over a year ago and hasn’t looked back. 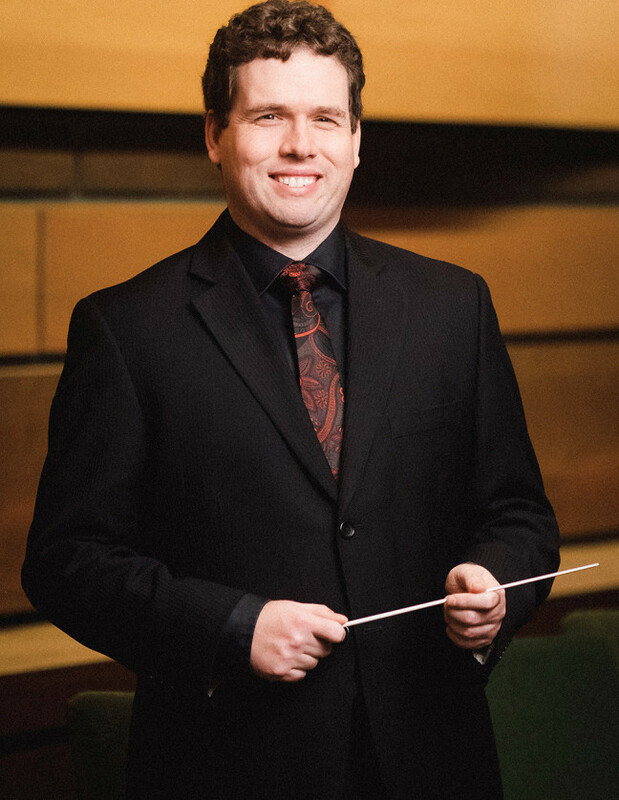 Mitchell, who won the 2009 Jean-Marie Beaudet Award in Orchestra Conducting, joined the Kingston Symphony as a 34-year-old after residencies as assistant conductor of the Vancouver and Kichener-Waterloo symphony orchestras. During those residencies, he conducted over 200 concerts and served as a consultant to the Vancouver Olympic Committee and assistant producer for the recording of the medal ceremony and national anthems. That range of experience has served him well with the Kingston Symphony, where you’re just as likely to see him leading an orchestra performing Beethoven’s Symphony No. 3 as Whitacre’s Godzilla Eats Las Vegas. 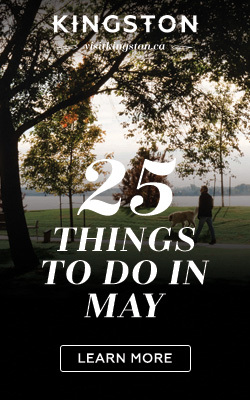 Keep reading for his favourite Kingston venue and band, what’s coming up from the symphony, and what we need to know about K-town’s music scene. What’s your favourite music venue in Kingston? 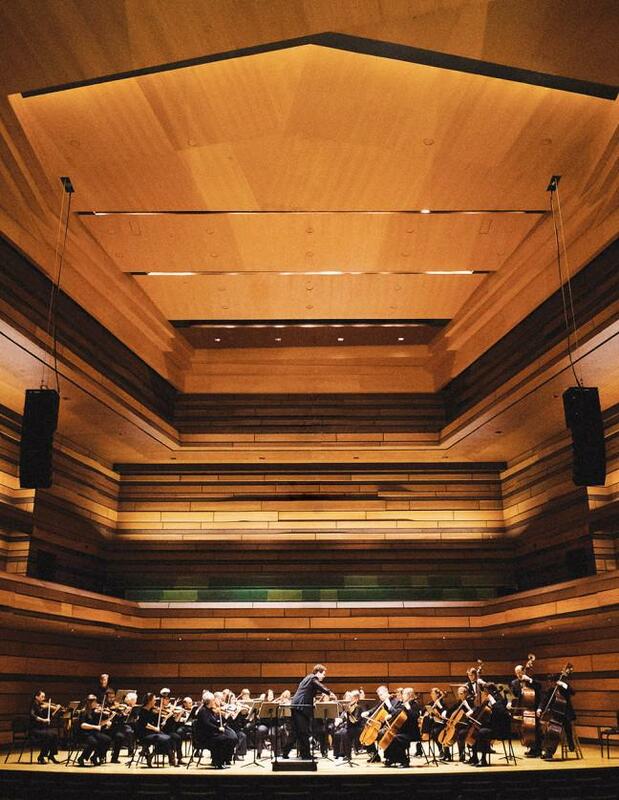 Kingston has a really amazing music scene, and there are all sorts of great venues, from little independent ones to larger venues, but I think my favourite is where we perform our Master Works Series, the Isabel Bader Centre for the Performing Arts. It’s a real jewel of a venue, and it is for the city, too. It works for anything you want to throw at it. What is it that you like about The Isabel? First of all, it’s physically beautiful. The lobby has floor-to-ceiling glass, it has this unbelievable view of the waterfront, and inside the hall it has this incredible wood panelling that was aesthetically designed to reference the limestone deposits around Kingston that also serves the purpose of acoustically tuning the hall to make it sound just right. It’s a stunning and intimate hall, and you’re able to hear absolutely everything. It’s a joy to perform a concert in. Do you have a favourite band or performer from Kingston? I’ve been listening to the Tragically Hip since I was a wee lad, so I’d have to say they’re my personal favourite. I had the pleasure of meeting Gord Sinclair and chatting with him at an event, and he had some really remarkable insights on music sharing and MP3s and these sorts of things, because of course The Hip were a successful band at the peak of Napster. But they are all really incredible people and great musicians and great rock stars. Outside of The Isabel and The Hip, what should visitors know about Kingston’s music scene? That Kingston has a really remarkable music scene, top to bottom, from popular music, to symphonic, chamber, acoustic, even folk. It’s equal to something you’d expect from somewhere march larger, so for people who aren’t familiar with it, if you come here and want to hear great music, you won’t be short of opportunities, be they with us or otherwise. As an outsider, you might not think of Kingston as a music destination, but it is, and that’s something we hold dear. Head to kingstonsymphony.on.ca for all of the details.